At a glittering Award Ceremony this evening in Cardiff, Robert Minhinnick’s highly acclaimed poetry collection, Diary of the Last Man (Carcanet) was named Wales Book of the Year 2018. The award is run by Literature Wales, the National Company for the development of literature in Wales. The winner of the English-language Fiction Award is Light Switches Are My Kryptonite by Crystal Jeans (Honno), a funny, dark, shocking and warm novel which propels us through a week in its main character’s life and his journey of self-discovery. The winner of the English-language Creative Non-Fiction Award is All that is Wales by M. Wynn Thomas (University of Wales Press), a collection of essays on a number of English-language authors from Wales, offering a sample of the country’s internal diversity. The category winners each received a prize of £1,000. The Wales Arts Review People’s Choice Prize was awarded to Tristan Hughes, who captured the imagination of the reading public with his novel, Hummingbird (Parthian). The Awards are judged by an annually selected independent judging panel. This year’s panel are columnist, producer and author Carolyn Hitt; distinguished poet and editor Kathryn Gray; and multiple award-winning author Cynan Jones. The winning title of the overall Welsh-language Award as well as the Creative Non-fiction Award is Blodau Cymru: Byd y Planhigion by Goronwy Wynne (Y Lolfa), a comprehensive introduction by a renowned botanist to Welsh plants and flowers; their habitats, ecology, history and characteristics. The prize was presented to Goronwy by the Minister for Culture, Tourism and Sport, Lord Dafydd Elis-Thomas AM. The Welsh-language Fiction Award winner is Gwales by Catrin Dafydd (Y Lolfa), and the winner of the Poetry Award is Hywel Griffiths with Llif Coch Awst (Cyhoeddiadau Barddas). This year’s Welsh-language submissions were judged by renowned broadcaster Beti George; winner of the Chair at the 2016 National Eisteddfod, Aneirin Karadog; and two-time previous Wales Book of the Year winner Caryl Lewis. The winner of the Golwg 360 Barn y Bobl (the Welsh-language people’s choice prize) is Peredur Lynch with his first poetry collection, Caeth a Rhydd (Gwasg Carreg Gwalch). 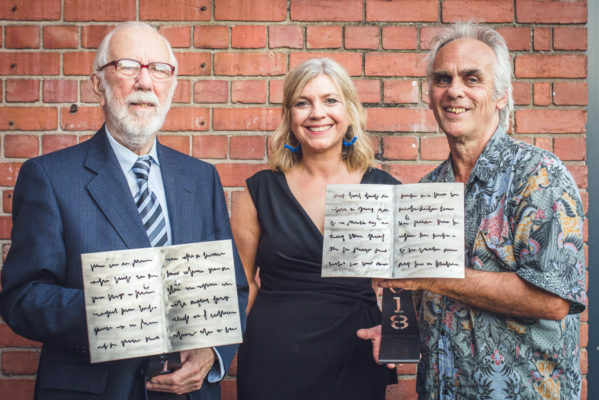 The Winners were announced at an Awards Ceremony held at Tramshed, Cardiff on Tuesday 26 June in the company of the competition’s judges, shortlisted writers and their guests, publishers, partners and members of the public.